If we've learned anything from Swedish producer Opolopo, it's that he knows his way around a remix. Whether he was taking on The Dazz Band's classic "Let It Whip" or Michael Jackson's "Rock With You," the musical mastermind has proven that its possible to breathe new life into a classic tune. 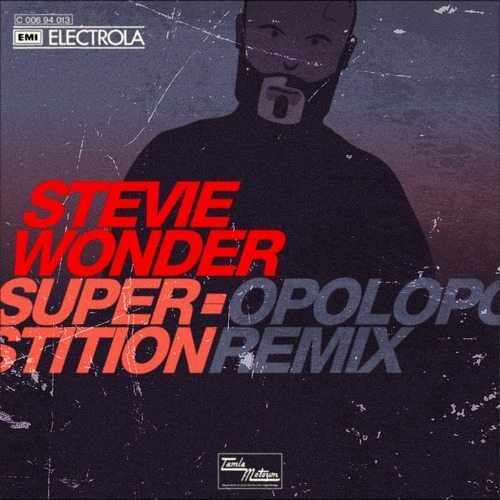 The latest song to get the Opolopo-treatment is Stevie Wonder's "Superstition." Already funky enough in its original form, in Opolopo's hands, things get really down and dirty. Reimagined as a house track, the song is sure to send many heading to the nearest dance floor when it kicks off. The multi-talented musician has created his own lane by giving listeners remixes that they never knew they wanted, and that's perfectly OK. As long as he keeps us grooving like this, then we'll be more than happy to let him guide us in the right direction. TAGS: audio, michael jackson, Opolopo, stevie wonder, the dazz band"